Nat Taing is a village in central Myanmar, about 2.5 hours drive west of Mandalay. The population of Nat Taing and nearby villages is about 1,500. The inhabitants are mostly poor farmers and day laborers. 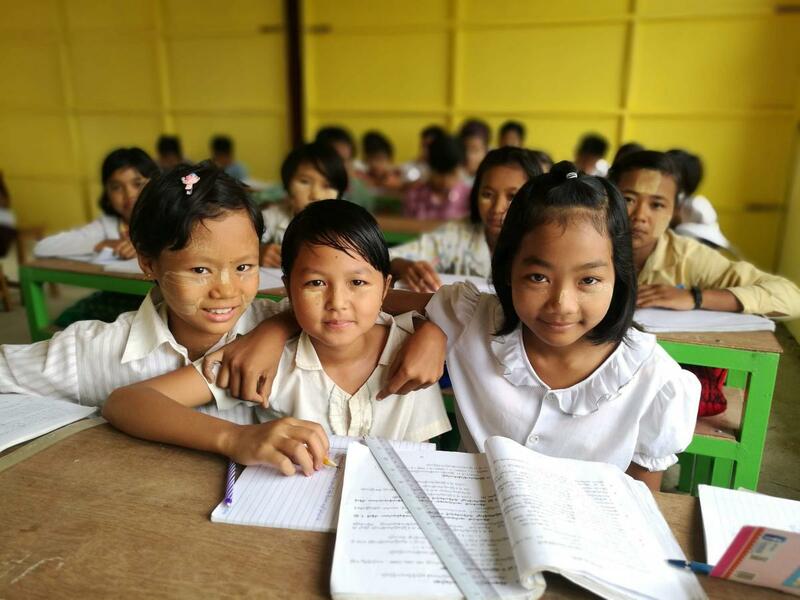 Nat Taing Village had in recent years expanded the monastic primary school, year-by-year adding middle school grades 5 through 8. 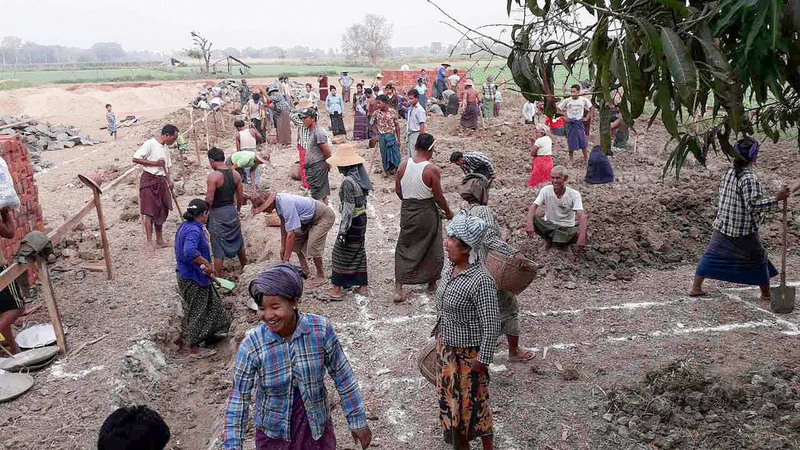 The community, including the monks, has been deeply involved in supporting the school, donating their labor and funds for a library, latrines, and other improvements. However, the nearest high school was 4 miles away, and most students were unable to attend. The roads are difficult and dangerous in rainy season, and most parents cannot afford to buy motorbikes or pay to board their children. The school leaders asked for BSB’s help to construct a new building to a add high school (grades 9 and 10) so the students of Nat Taing Monastic School would be able to continue their education. Nat Taing Village School is a monastic school. Families who cannot afford to pay government school fees and buy uniforms for their children send their children to monastic schools. These schools teach the standard curriculum, and also teach Buddhist religion. Like all schools that BSB supports, Nat Taing Village Monastic School is open to students regardless of their religion, gender or ethnicity. Funds for the high school were provided by a Sri Lankan donor Janaka Liyanage, and Jennifer Chan and her family. BSB’s country director, Naing Naing Lin, is also working with the community to implement a Scientific, Engineering, Information, Mathematics (SEIM) program and facility, incorporating community designed and sourced materials. 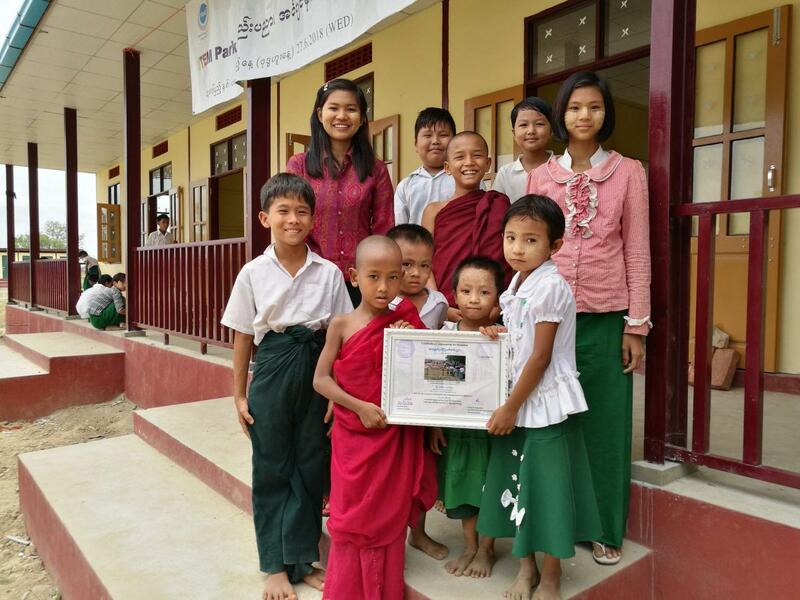 BSB helped Nat Taing, a village in central Myanmar, expand the existing monastic school to add high-school grades 9 and 10. A new building was constructed so that village children could continue their education. Nat Taing Village Monastic School BSB helped Nat Taing, a village in central Myanmar, expand the existing monastic school to add high-school grades 9 and 10. A new building was constructed so that village children could continue their education.